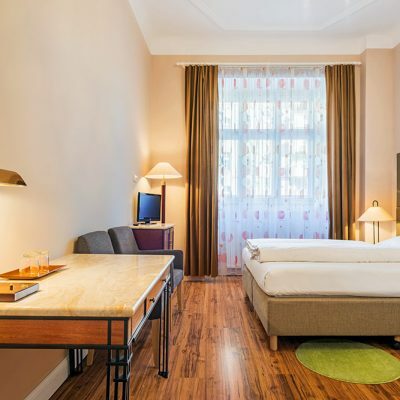 We offer our guests a modern and comfortable single, double and multi-bed rooms with all amenities. 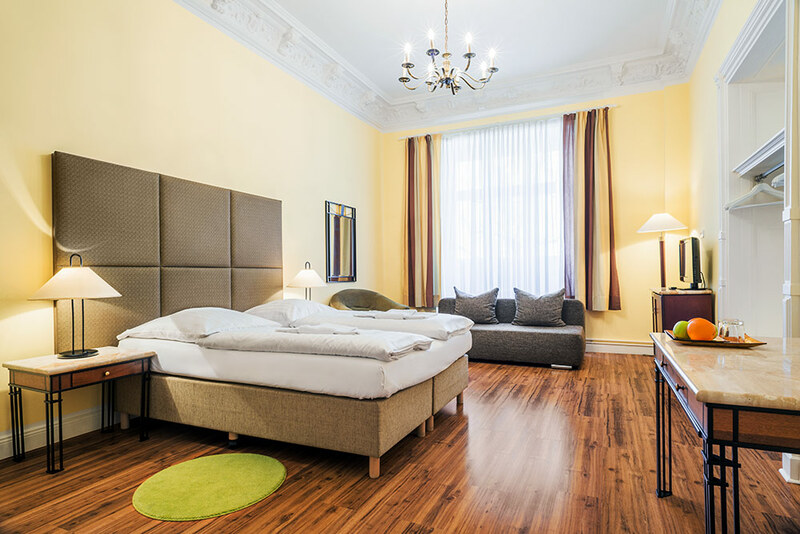 All rooms are spacious. 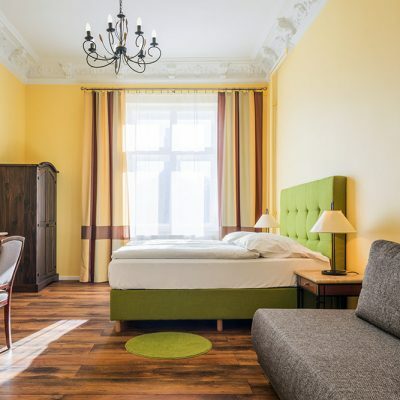 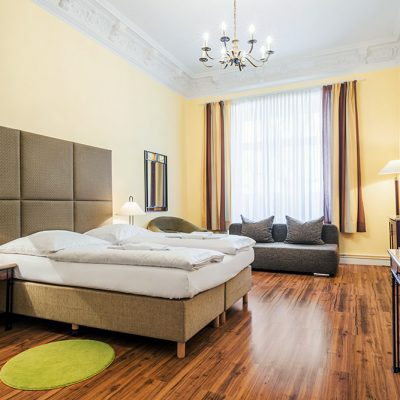 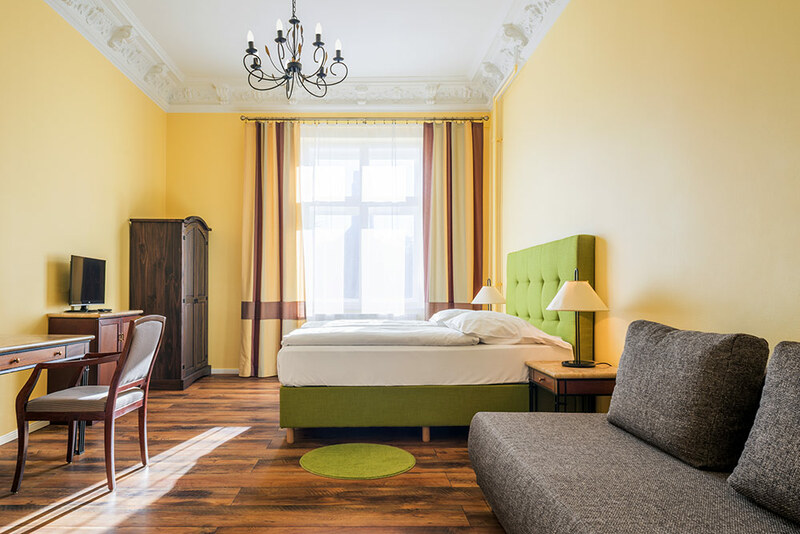 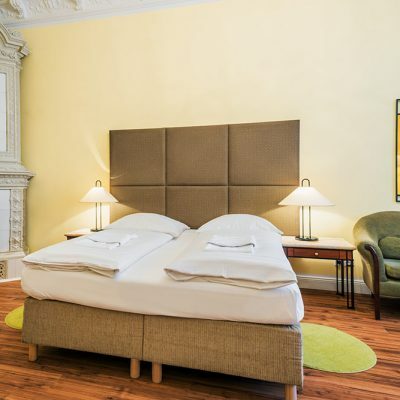 The rooms are either with a view to our patio or to the historical Winterfeldtplatz. 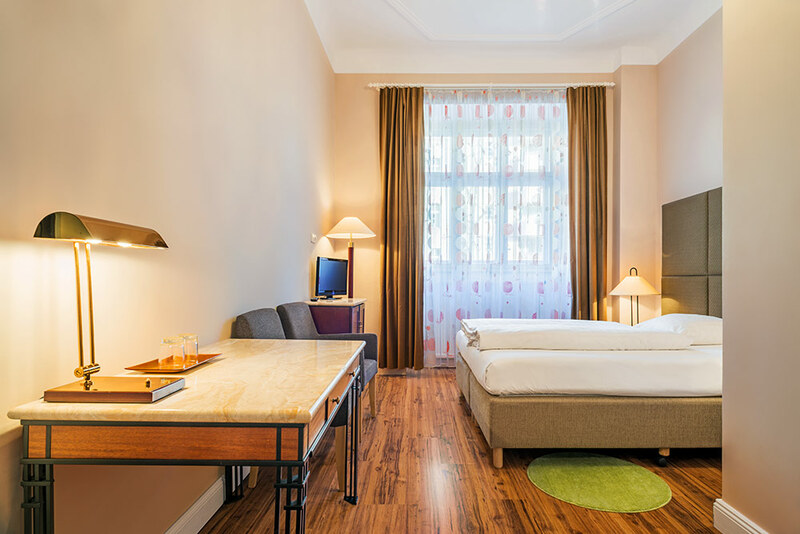 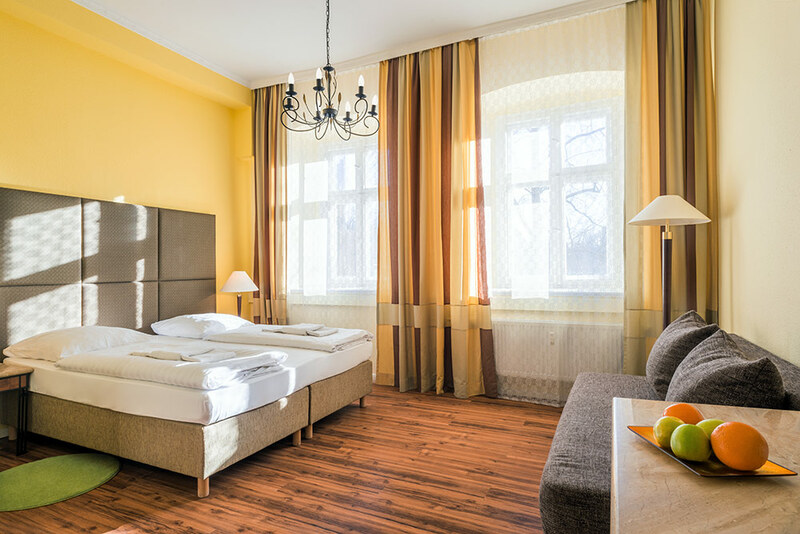 Rooms are equipped with wide beds with a high level of comfort (Box-Spring Beds), bedside tables with lamps, stylish, comfortable floor lamps, a wardrobe, a desk. 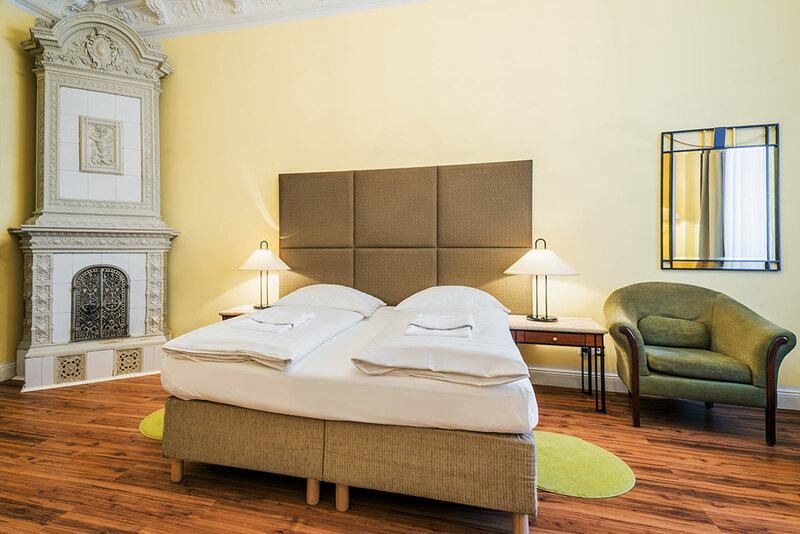 If you would like to check in before 12 am (noon) or after 10 pm, we kindly request you to contact the reception at the time of booking.